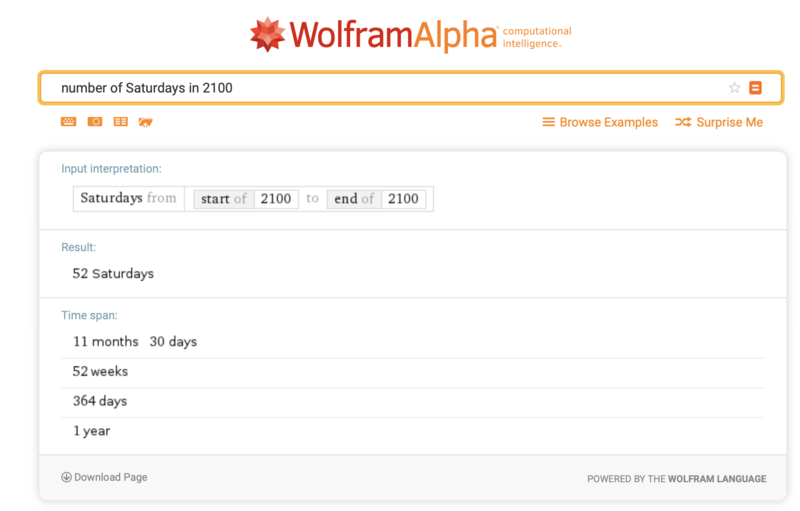 So WolframAlpha states that there are 53 Fridays and 52 Saturdays in 2100, which would mean that the correct output for my function would be Friday, no? 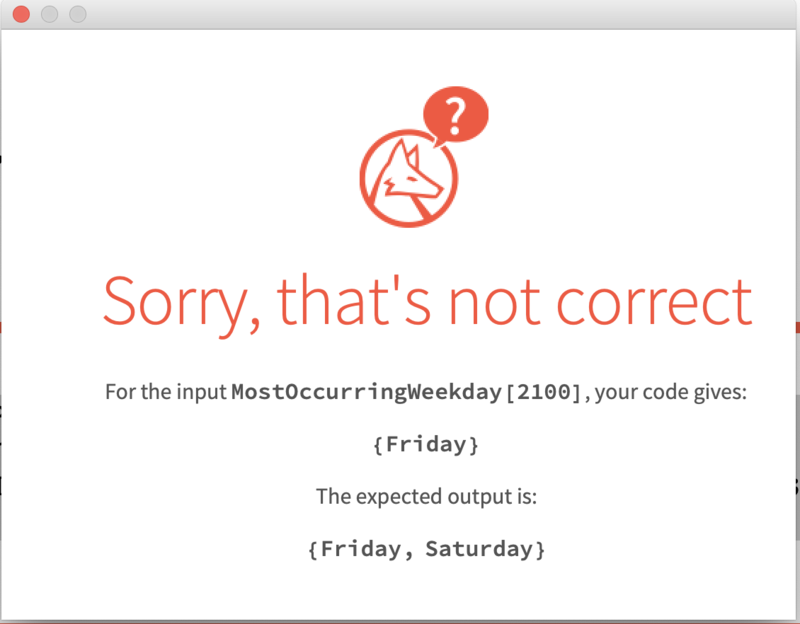 157 people have solved this problem so I don't doubt Wolfram's rejecting of my function but am thoroughly confused why WolframAlpha supports my answer but Wolfram Challenge does not. this code passed the test.. 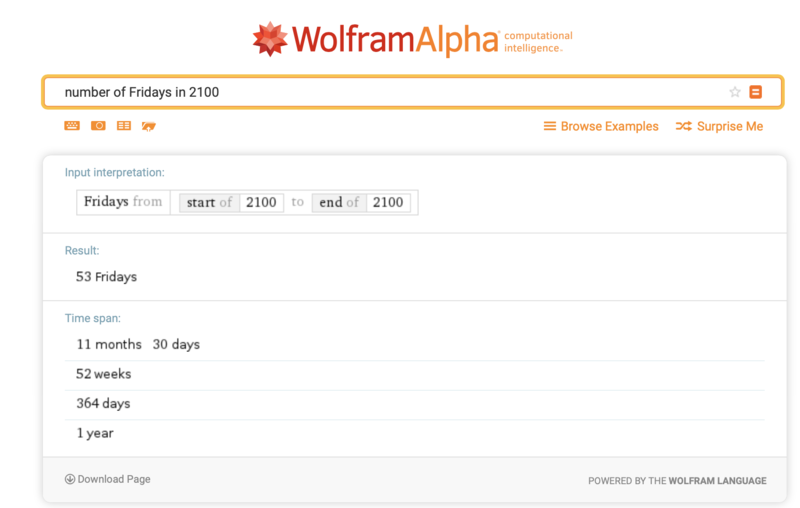 It was decided that there was an error in Wolfram Challenge's answer to this question. Therefore my answer, although suboptimal, is correct. Not the answer you're looking for? Browse other questions tagged scoping or ask your own question. Can I bake my own PI using your Wolfram language oven and prebuilt utensils?